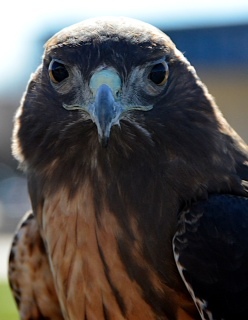 Murphy, the Red-tailed Hawk, has a fascinating history. 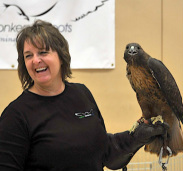 She came to Sierra Wildlife Rescue, a wildlife rehabilitation group in El Dorado County, CA, unable to fly or stand. 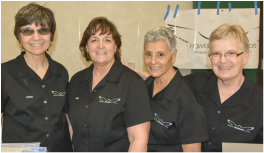 She had no broken bones or any identifiable injury. We didn’t know what was wrong with her. She was just – down. After weeks of food and rest, when she seemed to be recovering her strength, she suddenly had a seizure. 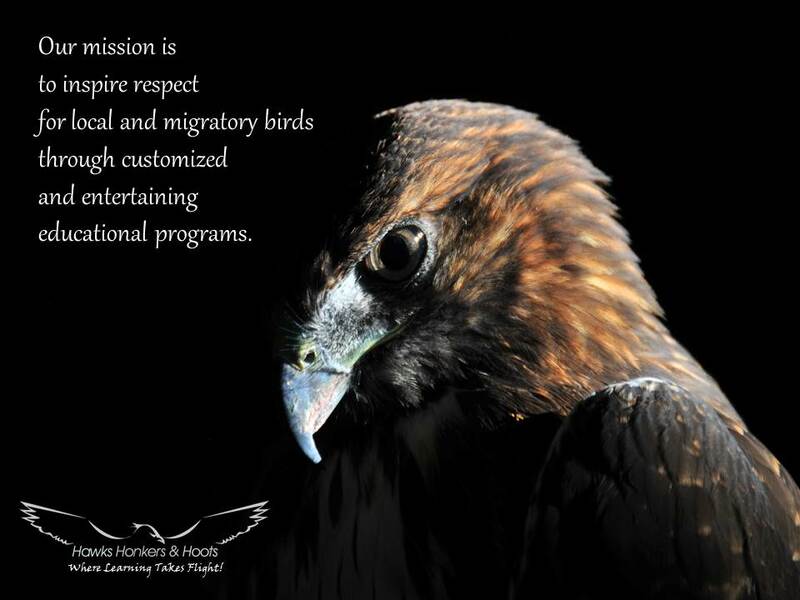 HH&H has four wonderful members that share the same passion - to inspire respect for local and migratory raptors and waterbirds and to educate many different communities about these wonderful birds They are dedicated to educate others about these amazing creatures through their website, in presentations, at festivals, and at special events.